Sonakshi Sinha took to Twitter to share the teaser poster of her upcoming film Akira. 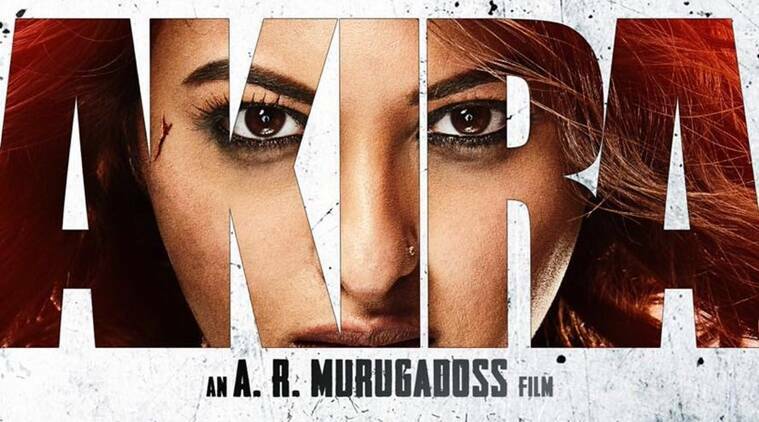 Actress Sonakshi Sinha took to Twitter to share the teaser poster of her upcoming film Akira. Directed by AR Murugadoss, Akira is an action drama with the tag line: “No one will be forgiven”, which is seen in this poster. Also, the release date of the film — which was September 23 — has been pre-poned to September 2. As per reports, Sonakshi will be seen doing some martial art stunts for Akira. The Dabangg actress is certainly excited about her role and cannot wait to show her transformation for the film. Sonakshi tweeted with the revised release date: Because YOU and I both cant wait to see how @ARMurugadoss has transformed me in #AKIRA… We are now releasing on September 2! Because YOU and I both cant wait to see how @ARMurugadoss has transformed me in #AKIRA… We are now releasing on September 2! AR Murugadoss has films such as Aamir Khan’s Ghajini and Akshay Kumar’s Holiday: A Soldier Is Never Off Duty to his credit. Which is why Akira has fans waiting with bated breath. The film is a remake of the 2011 Tamil film Mouna Guru and stars Sonakshi Sinha and Konkona Sen Sharma in the lead.